Our eight NEW Paradise Villas are situated on the Hillside providing panoramic views of the entire region including the beach and visiting yachts. Call for availability. 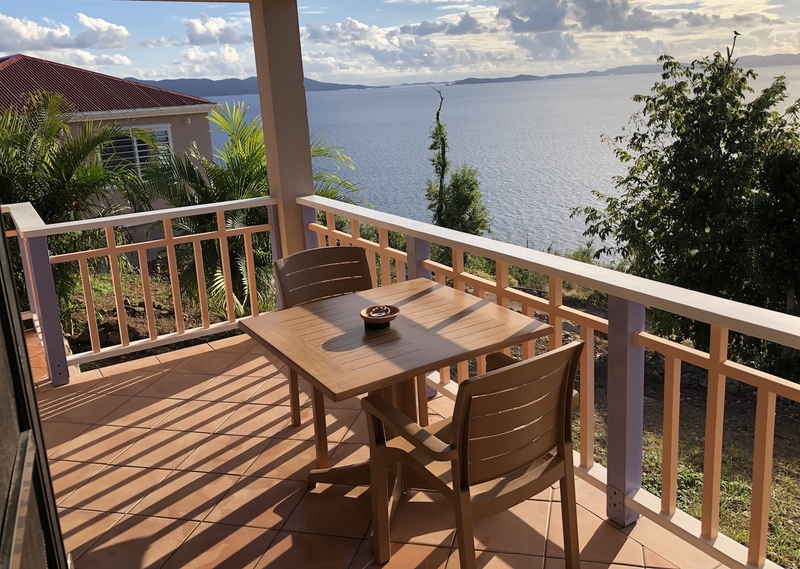 Like a separate little neighborhood on the peninsula, the Paradise Villas give you just enough socialization with your neighbors but still allow for total privacy. Each one-bedroom villa home is newly built with state of the art resilient construction and features an open plan living/dining room with a fully equipped kitchen, tile floors, master bedroom with king bed and A/C, ensuite bathroom, and a covered patio with table and chairs. The beach is a short walk down the private path. The living/dining room features a flat screen TV, Roku, high speed internet, stereo, ceiling fan, custom built-in café table, and queen size sofa bed with exceptionally high quality mattress. The kitchen includes a gas stove/oven, full-size fridge/freezer, blender, microwave, ceiling fan, dishes, flatware, glassware, cutlery, cutting boards, spice rack, coffee maker, and French press. An outdoor BBQ grill is also provided. "We want to Thank You for another wonderful week at Jost and The White Bay Villas! The unit was fantastic. The staff was also fantastic! We had an opportunity to meet John and his two companions. So cute. We have a 13+ year old chocolate Lab also. Again, Thank You for helping us put this together!